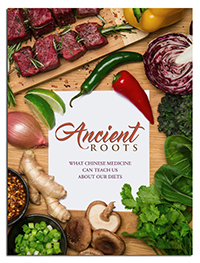 Blood deficiency is a common pattern that underlies many ailments in Chinese Medicine. It can be a key factor in resolving chronic pain issues, insomnia, anxiety or depression. It can also be an important factor in many other ailments such as constipation, menstrual irregularities, headaches, migraines or forgetfulness. Nourishing the blood to treat these ailments is not difficult or elusive. It just requires a little patience and some time. Having the pattern of blood deficiency does not mean that you are anemic or that anything is wrong with your blood from a Western biomedical paradigm (although if someone is anemic, they will likely present as having the pattern of blood deficiency). The best way to think about it is as though the quality of blood is lacking. The blood in the body is not as vital as it could be and unable to contribute to the whole being in the ways that it should. Blood deficiency is not a one way road towards anemia or a pattern of endless lacking. The substance of blood can be nourished, restored and revitalized through regular attention and care and can make a huge difference to many different health ailments. In the Classics, it is said that women will fall prey to diseases (imbalances) of the blood, whereas men will fall prey to diseases (imbalances) of the qi. In modern times, anyone can suffer an imbalance in either blood or qi and have health consequences as a result. Even though we do not have traditional gender roles in work and life, women will often have blood deficiency more than men simply because they lose blood each month. However, constant overwork and taxation can lead to blood deficiency and this is often the case with men who work physical jobs and then are very active on the weekends. Acupuncture is helpful in treating patterns of blood deficiency, although it will not build or nourish blood directly. It assists in the overall goal of nourishing blood by promoting deep relaxation and by bringing the autonomic nervous system into the parasympathetic mode. In order to improve the quality of our blood, we need to rest deeply and have restorative sleep. In this way, acupuncture becomes key in a long-term strategy of building blood. Leading a balanced lifestyle is key to treating blood deficiency. If you are a person that is always on the go and has multiple projects happening at once, you must find ways to slow down and find deep rest. Try meditating with a free meditation app such as Insight Timer, which offers many different methods for exploring the practice. Sometimes a moving meditation can be helpful, such as yoga. If you are new to the practice, please go to a yoga studio where an instructor can make sure you don’t injure yourself. Finding ways to slow down, such as taking a quiet walk after dinner or soaking in a hot epsom salt bath can be beneficial. Talk to your health care provider if you have restless sleep or insomnia, since quality sleep is key to building and maintaining vibrant blood. On the other side of the hill, if you tend to sleep excessively and be sedentary, you must find ways to circulate the blood in order to revitalize it. If you like to watch television or read, consider investing in a stationary bicycle or treadmill to move while you enjoy the things you love. It could be as simple as choosing to walk the 3/4 of a mile to a from work each day, or briskly walk for 30 minutes on your lunch hour before eating. High Intensity Interval Training (HIIT) routines are wonderful for raising the heart rate quickly and circulating the blood. Good old fashioned jumping jacks or jumping rope can also be done with minimal time investment and great circulatory benefits. Herbal formulas provide the key building blocks for the body to essentially revitalize and boost the blood in the system. Many different herbs fall into the category of building blood, some easily digestible and some more difficult to digest. The most powerful blood building herbs are sticky and dense, so they often have to be used in small doses over a long period of time. Your practitioner may rotate your blood nourishing herbs out to help the digestive system assimilate these richer and more concentrated herbs. Often they are combined with multiple herbs that support digestion and prevent the heavy herbs from causing stomach troubles. Food therapy is the best long-term strategy for building blood. Knowing that it takes many moons and sometimes a few years to revitalize blood, we can choose foods regularly that support healthy, vital blood. Foods such as beets and dark leafy greens are wonderful for building blood. If you can get a pile of steamed kale on your plate once a day, you are well on your way. Black beans, kidney beans and adzuki beans are all nourishing to the blood. Chicken liver, beef, sardines, eggs and oysters will nourish the blood. Cherries, sunflower seeds, almonds and pumpkin seeds are also good options. Making a conscious effort to chew slowly goes a long way in proper absorption and assimilation of nutrients. If blood deficiency is a pattern that your acupuncturist is treating, begin to add blood nourishing foods into your diet daily. Seek to balance an overactive lifestyle with appropriate deep rest, or balance a sedentary lifestyle with appropriate movement. By making these conscious daily choices, blood deficiency patterns will resolve more completely that using acupuncture and herbs alone. As an added bonus, nourishing the blood leaves us feeling more refreshed, energized and comfortable in our skin. Julie Baron is an E ast Asian Medicine Practitioner at the Thompson Family Acupuncture Clinic in Walla Walla, WA. Julie seeks to empower individuals and communities. As a movement and mindfulness educator, she has a penchant for functional anatomy. As an EAMP, she also has a passion for herbal medicine. This is such an important distinction, blood deficiency vs. anemia. Thanks for addressing it. ← Action needed! Help your friends in pain get better acupuncture coverage.